Prepare your instructors to know their stuff! AQX AquaCycling Certification - What's Involved? The AquaCycling course can be used with any make or model of aquatic cycle. AquaCycling is a comprehensive training and certification course from AQX! Who should attend? This course is ideal for aqua fitness leaders who will be teaching AquaCycling classes. It is also intended for land-based indoor cycling instructors, land-based fitness instructors and personal trainers who will be moving to the pool to teach group or 1:1 AquaCycling. ​There are two levels of AquaCycling certification. Level 1 involves fully attending an AquaCycling course and achieving 80% on a written theory exam. Level 2 certification is achieved after a year of teaching AquaCycling, and a successful practical assessment. Arrange an AquaCycling course at your facility. The course requires two - three hours of pool time with the aquatic cycles (ideally, 1.5 hours late morning; 1.5 hours mid afternoon). A suitable training room (classroom) will be used during the rest of the day. 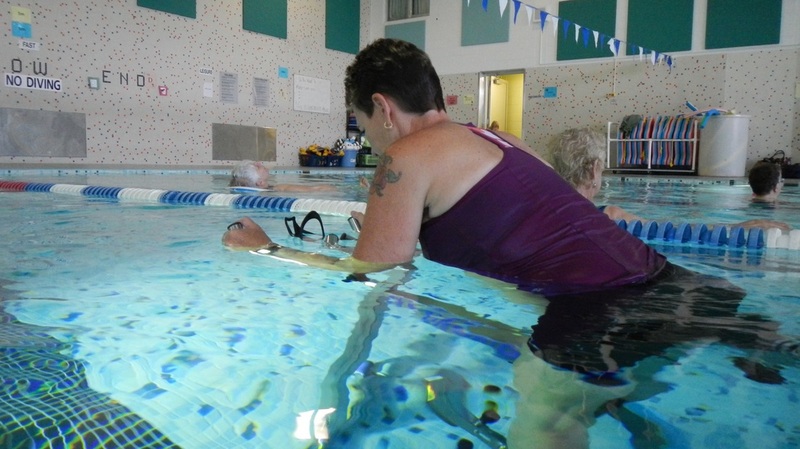 Leaders who have AquaCycling Level 1 Certification, and have been teaching AquaCycling classes for a year, can submit a video of their AquaCycling class for assessment. An assessment fee applies. Successful assessment leads to AquaCycling Level 2 Certification. Contact AQX for guidelines and more information.